New Owl Print Cartoon Knit Sweater, made of knitted fabric, soft, comfortable, shape and color last long. New Owl Print Cartoon Knit Sweater, made of knitted fabric, soft, comfortable, shape and color last long. Round collar style, simple, but classic. Owl pattern on this sweater, adds cute element to it and avoids singleness. 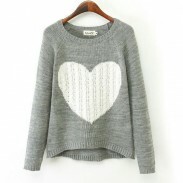 With this Owl Print Cartoon Knit Sweater, you will feel very fresh and sweet. 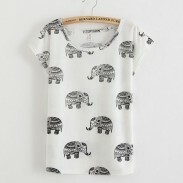 Very cute and good looking New Owl Print Cartoon Knit Sweater! So cute, so many compliments. Very happy with my new sweater.